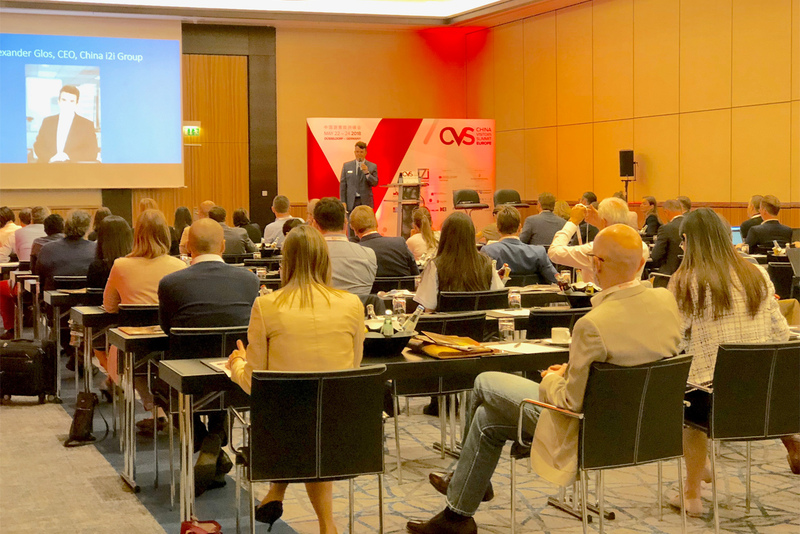 Welcome to the China Visitors Summit – Europe – 2019! 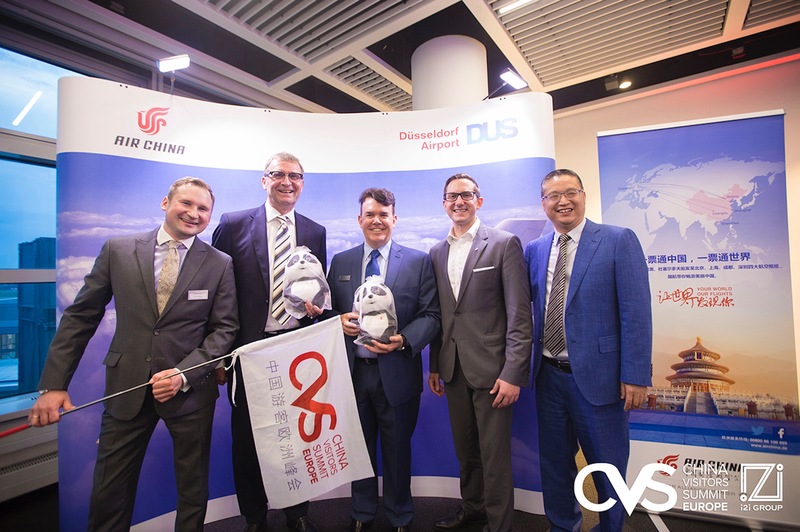 For nine years the CVS has been bringing together global Chinese travel buyers with international travel suppliers. More than 1400 businesses have met together to do business – face to face – at global CVS’s. The CVS is all about business to business. 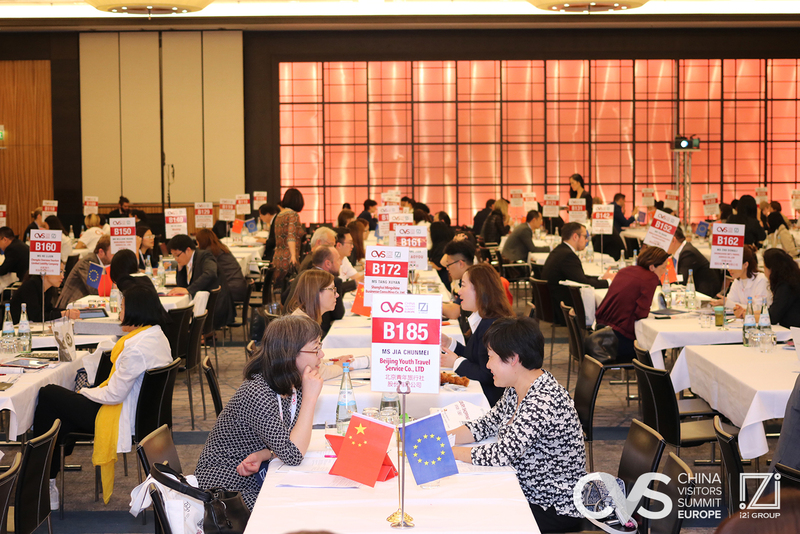 The core of the event is two days of face to face meetings between 140 travel suppliers and 140 Chinese travel buyers resulting in over 7,000 appointments. It’s like speed dating. You get to pick the buyers and they get to pick you too. You will have 50 pre-scheduled appointments with the Chinese buyers – normally about 80% of your selected choices will be confirmed and the remainder is assigned randomly. The CVS is not a familiarization trip! The Chinese buyers are nominated based on their sales and business into the host region. The Chinese delegate is then chosen based on their responsibility for procuring and developing product. Finally, each Chinese buyer must pay a registration fee (€300) to join the event and purchase their own air tickets to attend, typically about €1800. In 2019 the CVS – Europe will be produced twice, north and south, with a focus on Summer and Winter bookings. Summer inbound business from China is high season and providing a forum for buyers and supplier to connect while still allowing time for business to be booked is of key importance to both Chinese buyers and international suppliers. Dresden, capital of the eastern German state of Saxony, is distinguished by the celebrated art museums and classic architecture of its old town. Completed in 1743 and rebuilt after WWII, the baroque church Frauenkirche is famed for its grand dome. The Versailles-inspired Zwinger palace houses museums including Gemäldegalerie Alte Meister, exhibiting masterpieces of art like Raphael’s “Sistine Madonna.” Dresden is one of Germany’s most beautiful, historical and cultural cities connecting east and west. The CVS will be held at the Dresden Congress Centrum, right on the banks of the river Elbe, a few meters to the beautiful old city and adjacent to the Maritim Hotel, where all of the Chinese buyers and suppliers will be staying. Increasingly, winter and spring inbound travel from China to Europe is becoming popular and profitable. Chinese New Year typically is in February and this is the fastest growing inbound travel and shopping time for many Chinese. Christmas shopping holidays are growing in popularity and winter sports adventures are in demand. Milan is a global capital of fashion and design. Home to the national stock exchange, it’s a financial hub also known for its high-end restaurants and shops. The Gothic Duomo di Milano cathedral and the Santa Maria delle Grazie convent, housing Leonardo da Vinci’s mural “The Last Supper,” testify to centuries of art and culture. With the alps just a few hundred kilometers to the north and the heart of Italy to the south, Milan is a perfect place to join the CVS. The CVS will be held at the Sheraton Milan Malpensa Airport Hotel & Congress Centre, just 25 minutes from the center of Milan, adjacent to the airport with easy fly in and fly out and direct connections to Italian national rail services, its convenient, while offering over 1000 SQM of meeting space, restaurants and deluxe accommodations. The CVS is NOT a familiarization trip! All of the Chinese buyers are vetted and selected based on the amount, value and type of business they are bringing to Europe. The individual delegates chosen must be responsible for procurement of travel product and responsible for developing it for resale. Each buyer must prove their responsibility by showing contracts or confirmations of travel business placement to be accepted to the CVS. 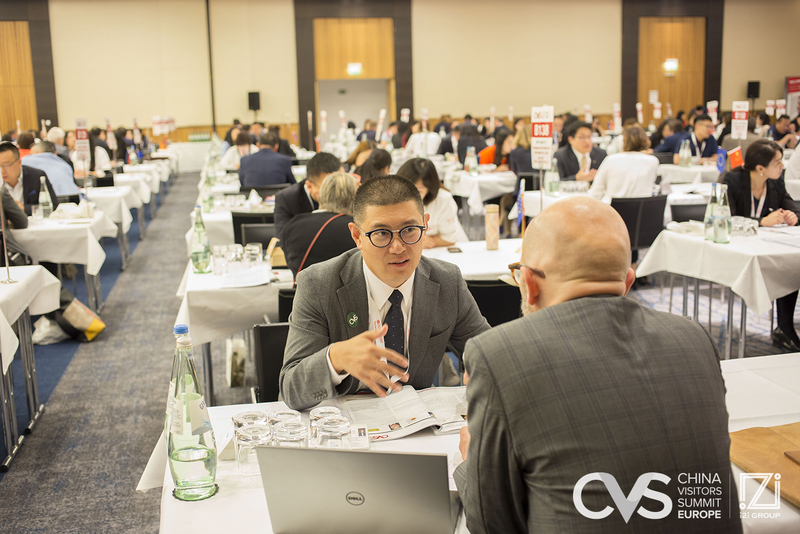 Finally, each Chinese buyer pays a registration fee of approximately €300, plus their airfare to the CVS and is only then accepted to be a buyer delegate. Chinese travel agents, tour operators, MICE managers, corporate travel planners and media. 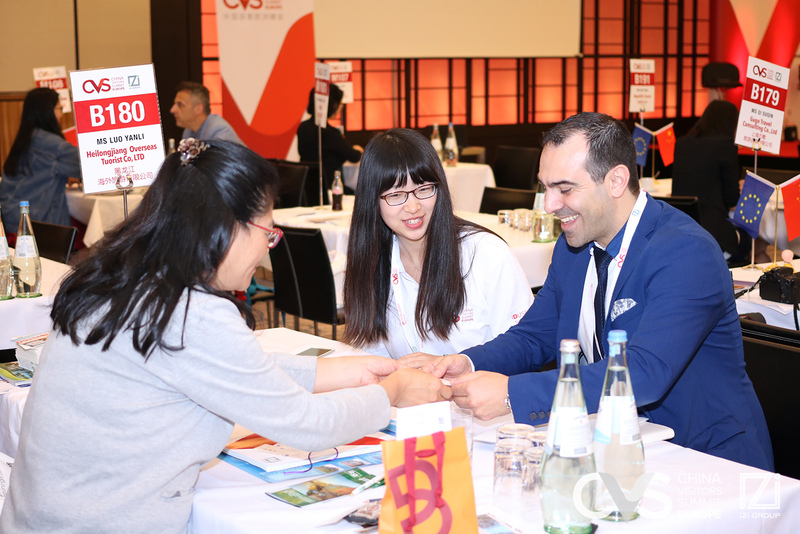 In 2018, the Chinese buyers who attended the CVS were responsible for over €260 million in business and over 300,000 travelers to Europe. 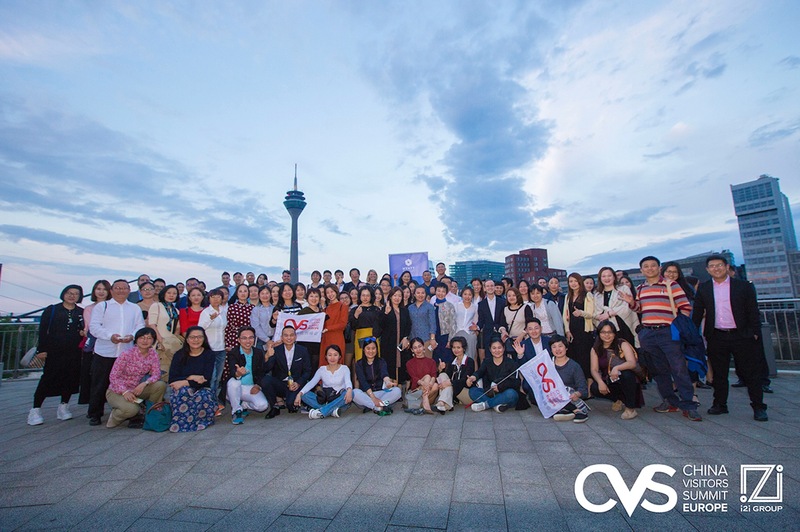 Join & Promote: Partnering with the CVS and i2i China means more than making the right contacts; it means being an insider. It means being connected to the right Chinese buyers with the right level of influence, and it means you are allied with a globally respected organization and leader in the Chinese global tourism industry. Experience the power of partnership with CVS and China i2i. Sponsorship, promotion, exhibiting and marketing packages are designed to provide a solid platform to help you stand out and make an impact. Our programs allow you to achieve your marketing goals and deliver a maximum return on your investment. We have developed convenient and customizable packages to help your organization meet its objectives and reach your target buyers at CVS and in China. Two days of face to face meetings with the Chinese buyers. About four weeks before the summit, each supplier will receive a complete list of the Chinese buyers, including their contact details and a detailed description of the business that they are interested in. Suppliers are invited to pick 50 buyers they want to meet with during the face to face meetings. Simultaneously, the Chinese buyers are also selecting 50 suppliers they want to meet. Approximately 80% of your requests will be scheduled. You will receive 50 face to face meetings over the two days of the summit. Each face to face meeting is 15 minutes. You will receive a complete schedule of your appointments and their contact details one week before the summit and a complete list of your appointments will be in your registration package when you register on-site. You are free to and encouraged to contact the buyers in advance. 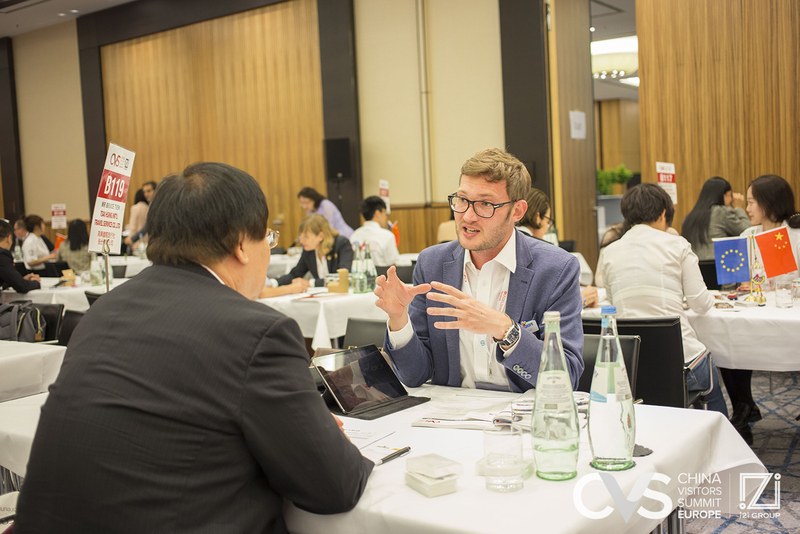 During the CVS there are several times to connect with the Chinese buyers who you do not have scheduled meetings with. Each lunch is designed to help you meet any of the Chinese buyers you want to meet. It’s easy to find a buyer at the CVS and if you need help, just ask any CVS staff to help make an introduction. 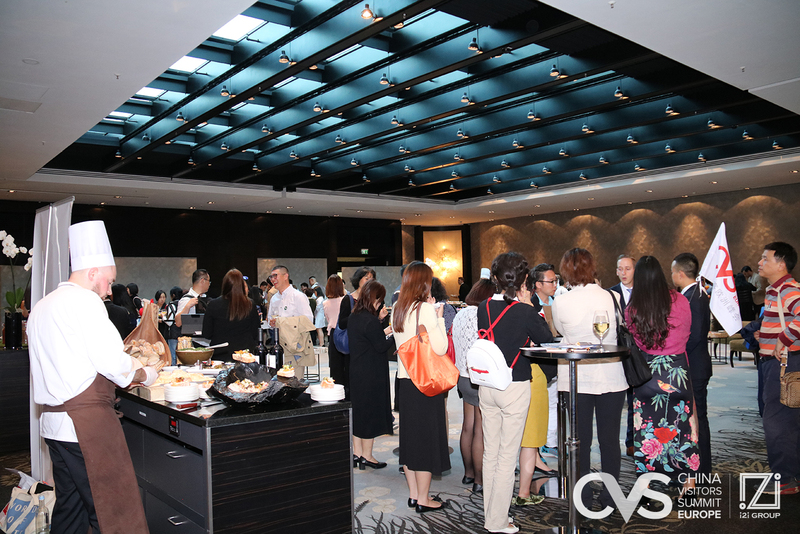 On the evening of the first day of the face to face meetings, the CVS hosts a reception and buffet for all of the Chinese buyers and international suppliers. This is a perfect time to meet and relax with the Chinese buyers. As they say in China – if you are not eating and drinking – you are not really doing business! During the morning and afternoon breaks – you have time to connect with buyers as your share a coffee or tea. Staying in the host hotel also helps you connect with the buyers as you can enjoy breakfast with the buyers every morning. The China Training Day @ The CVS is held on the first day of the summit, April 2 and November 12. The CTD is a two track experiential educational forum designed to immerse you in training about general China travel business development and information for travel suppliers. The second track is focused on sales and marketing strategies – social media, mobile money, retail, branding, advertising and promotions. Delegates can jump from one track to the other. The CTD is available for registration at €399 or €499 for non-CVS delegates, including lunch, refreshments, syllabus and downloadable training information. Reception And Buffet Dinner With All Buyers On The Evening Of The First Day Of The Summit. Interpreters On A First Come First Serve Basis. Your Delegate Profile In China Premium Traveler Magazine – 180,000 Monthly Readers – China’s Largest Circulating Magazine For Chinese Global Travelers And Shoppers. NOTE: 10% Discount if you book for both CVS’s in 2019 Discount is taken after registration and in your final invoice. Book 5 People And Get 1 Free! VAT Notice: China i2i Group is a Hong Kong registered company and is not permitted to charge European VAT or collect VAT. Additionally, China i2i is not eligible for a VAT refund or exclusion because the CVS is produced in Europe and in business service is provided in Europe and not exported. Hence, China i2i is required to pay all VAT on services, rentals, goods and all expenses incurred in Europe. The operational costs of the CVS are augmented by these additional VAT costs and hence the registration fees reflect these added costs without the benefits of a VAT designation and/or possibility of refund. Please note that once your registration is submitted, you will receive a confirmation within 24 hours. Once you register for the conference as a supplier, you are committed to attending the conference and paying the appropriate registration fees and or other costs as so registered. You may cancel your registration within 24 hours for free. After 24 hours, any cancellation requires a 50% penalty of the total registration fee and or other costs as so selected. After January 1, 2019 any cancellation requires full payment of the total registration fee and/or other costs as so selected. Registration substitutions may be granted at the sole discretion of the producer. For any questions or details regarding this cancellation policy, please contact: aglos@i2imedia.net Payment Terms: 50% Deposit Is Due At Booking. Remaining Balance Is Due 120 Days Before The Summit. As a registrant at the CVS, photos and videos will be taken of the conference for possible future promotional use and by registering to the CVS you agree that your image may be used in future photo or video promotions to be used by the producer. © 2018 i2i Group. All Rights Reserved.